Our May article on village band The Cellarmen offered a detailed history of the group thanks to memories from former members and fans – but there was one gap still to be filled in. Marlbrook resident Mike Dodman had originally asked Village readers to help identify the young man in a photo attached to The Cellarmen’s business card, which he found in a box of memorabilia belonging to his late wife, Lesley. None of the band members we spoke to recognised themselves in the picture (above left), but one fan suggested it could be original guitarist John Hadley. Peter Quine, the first manager of the group, was out of the country when we first started researching The Cellarmen, but he wondered if it might indeed be John – and got in touch with him to check. “Of course it’s me!” says John. “It was taken by Jim Rowan in the summer of 1964, during a camping holiday in Scotland. 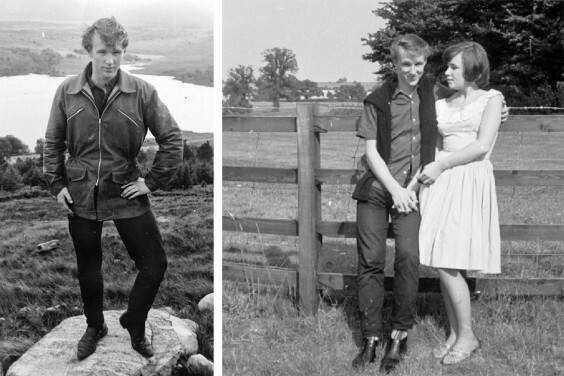 “At that time Lesley was my girlfriend, and she must have kept the picture. I thought about her recently while archiving old photos, including this one [above right] – which confirms the old connection. “I was a founder member of the band but had the disadvantage of being a useless guitarist! * One of the people who helped us with our enquiries about The Cellarmen was Jean Ayers (née Mayo), who along with her friend Christine Baker was a huge fan of the band and followed them to many of their gigs. 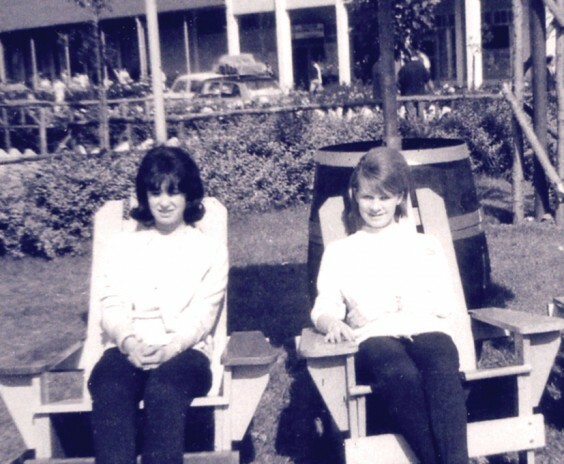 This photo of Jean and Christine (below) was taken in 1965 at Butlins in Skegness. Just about visible in the background is the family car – in which is displayed a Cellarmen banner made by the girls and proudly displayed! The Village is always keen to hear readers’ memories of bygone days – so please keep sharing them with us!